Five different local teams have contests this week that basically count the same in the standings but have more contextual meaning than others. *This is an interesting week in local sports, and I don’t mean that in the way that your Minnesota mom says “interesting” to describe a young man’s Fortnite face tattoo she just saw at the grocery story. Dare I say five different teams have STATEMENT GAMES — those nebulous contests that basically count the same in the standings but have more contextual meaning than others — this week. It started Monday, with the Gophers men’s basketball team handling Utah 78-69 at Williams Arena. Now, the Utes aren’t Duke or Kentucky, but they are at least a quality opponent. Minnesota didn’t blow Utah out, but it was in control for the vast majority of the game. Furthermore, the Gophers again received key contributions from freshmen — including the underrated (but not for long) Gabe Kalscheur — in the win. If the Gophers want to be a tournament team at the end of the year, this is the kind of game they need to win. And they checked that box nicely Monday. 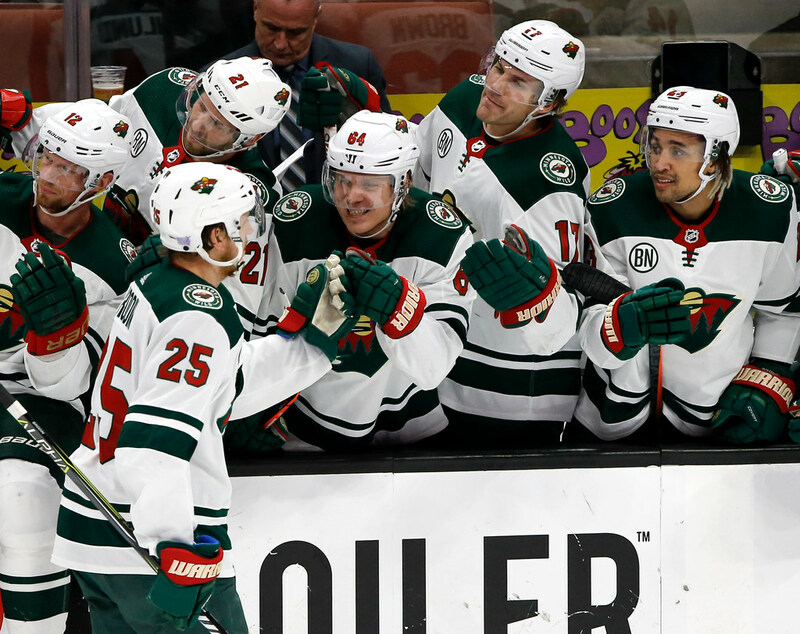 *It continues Tuesday when the Wild takes on the Capitals at Xcel Energy Center. Washington is experiencing a bit of a post-Stanley Cup hangover this season, but the Caps are still the defending champs. The Wild, meanwhile, is coming off a 5-2 road trip and has the third-best points percentage in the entire NHL. Hockey Reference says Minnesota’s schedule has been a little on the easy side so far. This is a chance to increase the number of believers with another early win. *And then there’s Wednesday, when the Timberwolves host the Pelicans. This presumably will be the first game for the newly acquired Robert Covington and Dario Saric. It’s the second game of a stretch of 10 of 12 at home. It’s a chance for Karl-Anthony Towns to reverse his career trend against Anthony Davis. And it’s an opponent the Wolves will likely need to surpass in the standings if there is any hope of getting back into the playoff picture. *Now fast-forward to Saturday. You might look at the Gophers football team’s game against Big Ten West-leading Northwestern as too daunting a task to take seriously, but let’s examine the Wildcats a little more. They’re 6-1 in the Big Ten, sure, but they’re just 6-4 overall. And four of their conference wins came by four points or fewer. This is a game in which the Gophers should be able to compete. This is a chance to become bowl-eligible, surpass last year’s win total, turn some heads and build more momentum after last week’s 41-10 victory. *And finally Sunday, perhaps the biggest of them all: Vikings at Bears. This game got moved to primetime on Sunday Night, and for good reason. I keep waiting for the Bears to be frauds — something we talked about on this week’s Access Vikings podcast — and the body of contrary evidence continues to mount. Given the schedules for both teams the rest of the way, I’d say there’s a good chance the winner Sunday ends up winning the division.